Digital biomarkers of spine and musculoskeletal disease from accelerometers: Defining phenotypes of free-living physical activity in knee osteoarthritis and lumbar spinal stenosis. (Spine Journal Outstanding paper for Basic Science). Spine J. 2018 Jul 17. 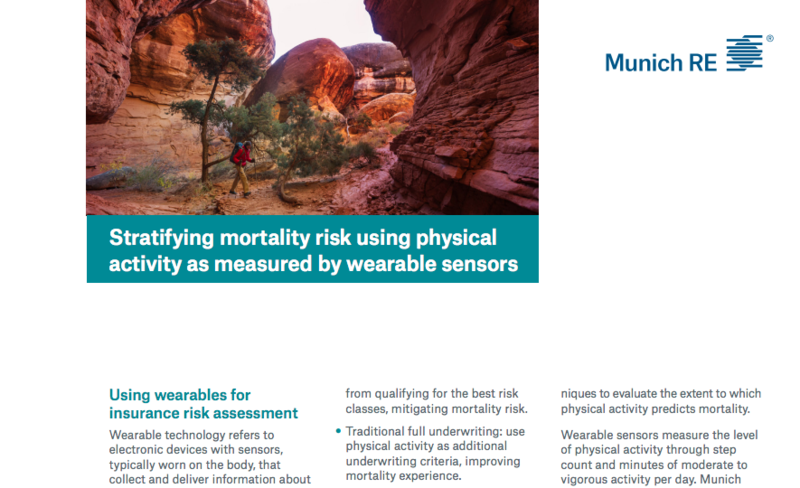 Vivametrica, in collaboration with one of the world’s top reinsurers, Munich Re publish our findings on physical activity and mortality. Fill out the form to the right in order to access this thought leadership piece.